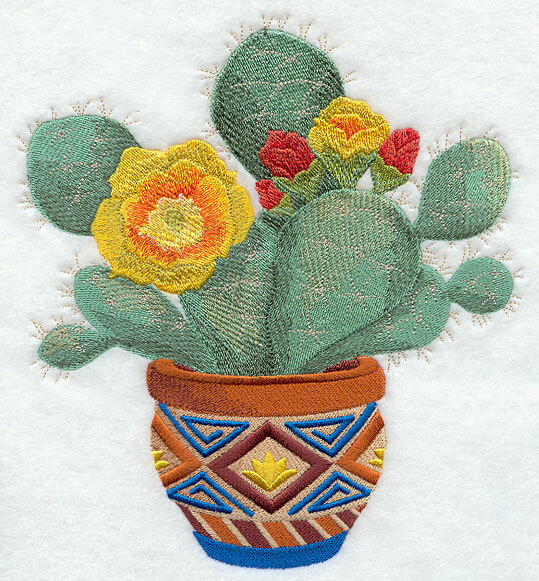 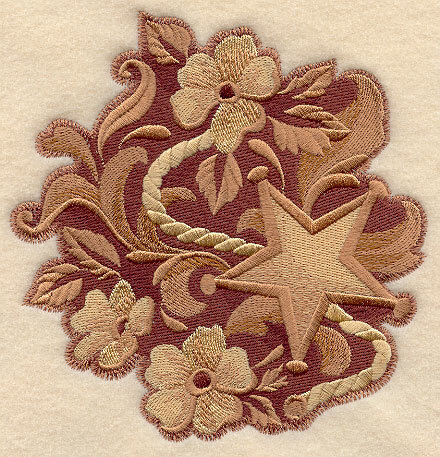 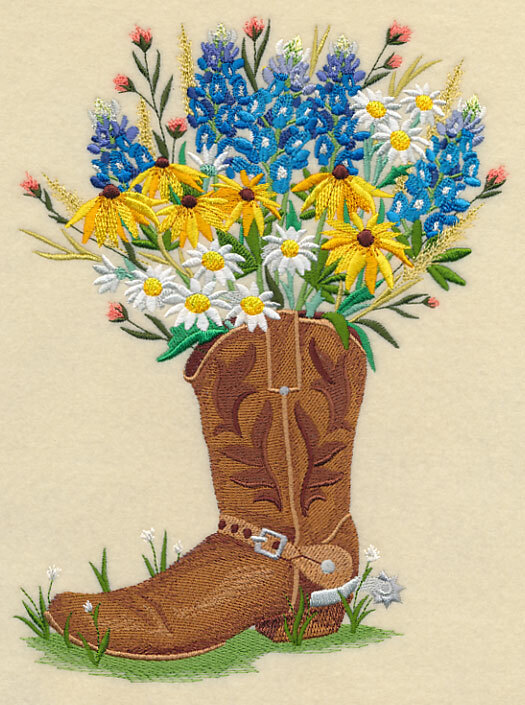 The raw edges of crafty-cut applique meets the western styling of a cowboy boot in this machine embroidery design. 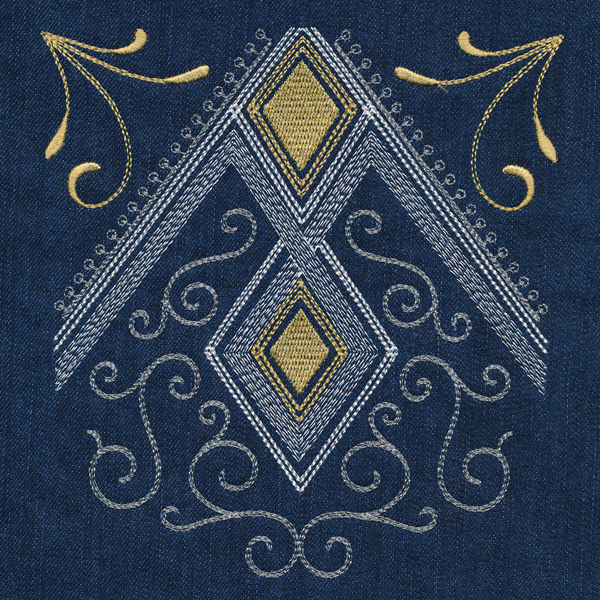 Choose playful fabrics and coordinating thread for truly unique creations. 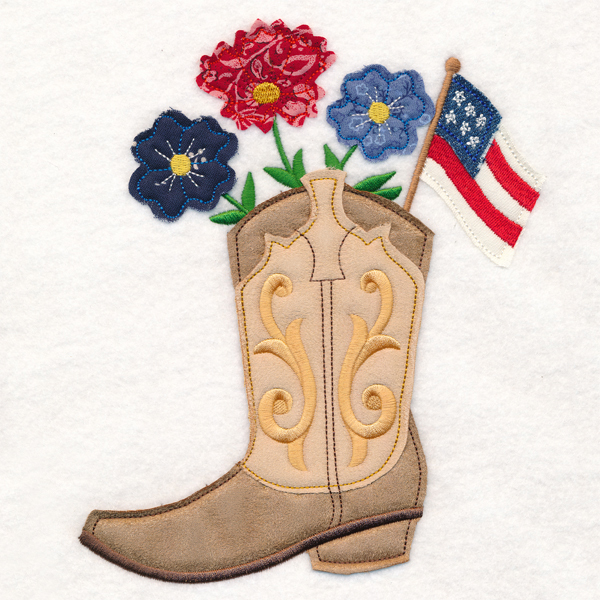 Project instructions will show you how to craft this charming bouquet.